Released last month, Google’s Allo messenger (also available for iPhone) is entering an exceptionally busy space, already dominated by the likes of WhatsApp, Facebook Messenger and numerous other large players. Google’s new messenger, however, brings a whole lot more to the table, most notably by integrating elements of the Assistant it showed off at Google IO. Assistant is integrated into your chats with other people (you can fire it a request at any time by using @google in your chat or you can have a one-on-one with it, if you prefer. It’s not just useful because it taps into Google’s Knowledge Graph though, you can also carry out actions (like booking a table at a restaurant) directly via the app. Privacy fans will also like the fact that you can have Incognito chats, as well as set a time limit on how long conversations stick around. It also supports end-to-end encryption. Add in that Allo ‘s messenger aspect lets you quickly add things like stickers, emoji, GIFs and all the other fun stuff and it’s worth a look this month for sure. 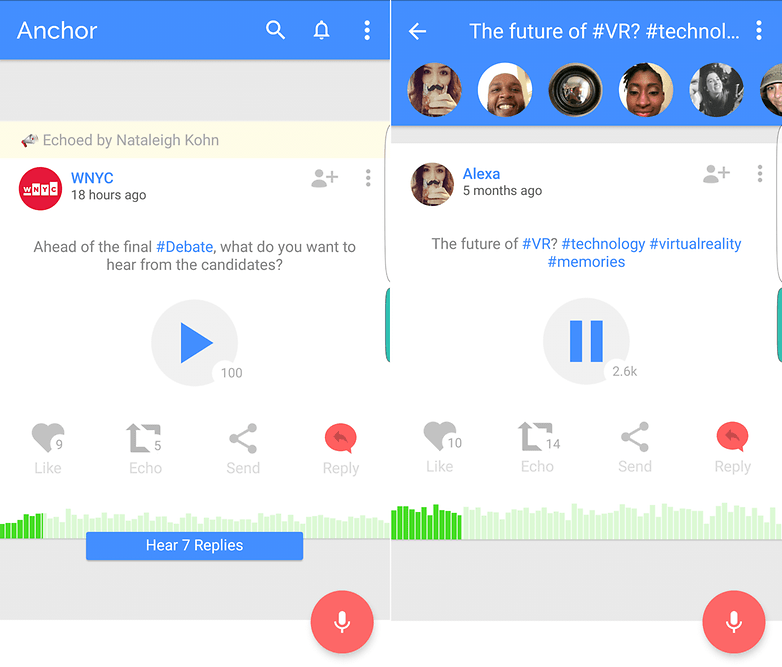 Anchor isn’t an entirely new app, but it hasn’t been available on Android devices before, having launched earlier this year for the iPhone. In a nutshell, you can think of it a bit like a mini podcast or an audio version of Twitter, perhaps, as each broadcast is limited to two minutes or less. As a result, it’s not a format that will appeal to everyone. For those that do like the sound of it, no pun intended, getting up and running takes less than a minute and the interface is pretty self-explanatory. Each recording is called a ‘wave’ and each wave is part of a conversation. After you’ve recorded one, other people get the chance to record their own in response and interact. As you’d expect for any social-based audio platform, there’s a friend system in place too, so you can keep track of waves from people that you enjoy. You can also see some basic stats on how many people are listening and interacting with your waves too. And best of all, it’s free. 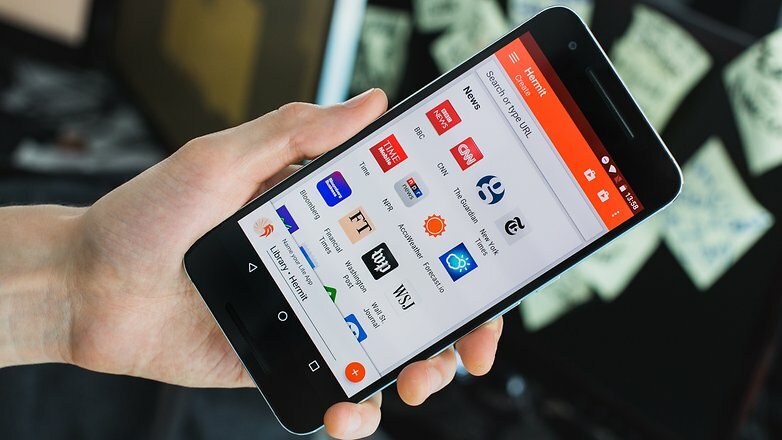 There are a lot of bookmarking apps for Android, but a lot of them just aren’t that smart. Stash is though. Instead of requiring you to manually tag and add keywords for bookmarks and arrange them by category, Stash will automatically recognize lots of different types of bookmarks and add tags for you. 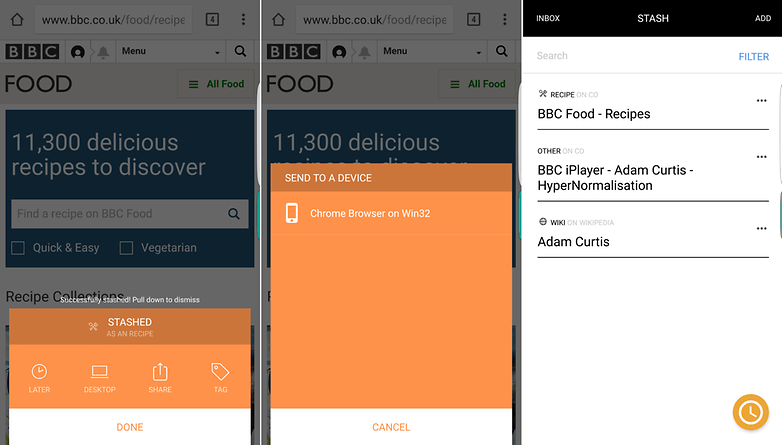 As well has having a [so new it’s still unreleased] Android app, there’s a Stash Chrome extension too, which lets you manage everything from your browser, and push notifications and bookmarks between devices. You can even add reminders to bookmarks, to ensure you don’t forget to come back later and check them out. Stash isn’t quite open to everyone yet, but if you register interest and share the special link you get to the homepage with 10 friends (i.e. 10 different people need to click the link and look at that page), you can skip the queue. We could never condone just using a VPN, changing locations 10 times and clicking the link in a private browser though, obviously. The main list of stashed items needs a little UI love on Android, but it’s a promising start for an app that hasn’t yet launched. Duo is easily one of the coolest apps released in the last month. 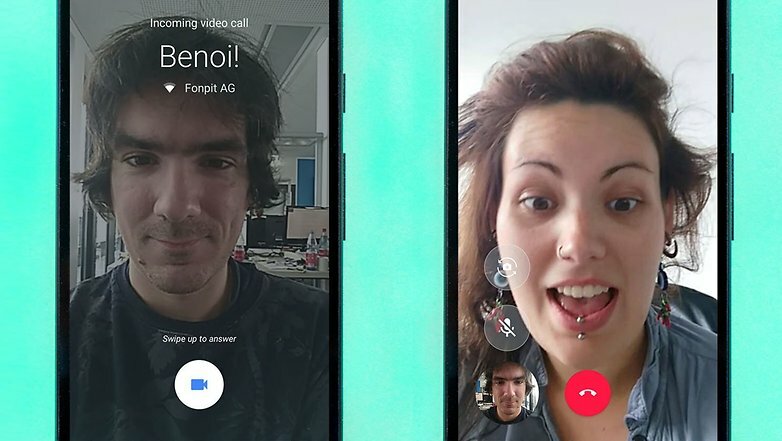 Developed by Google, this free video-calling app was officially launched mid-August and it has one trick that makes it immediately exciting. When you make a call, Duo will begin video capture and display this on the receivers screen before they have even answered. It’s a subtle addition to video calling that makes the process feel a little nicer. That said Duo doesn’t offer much else in the way of innovation, it’s a typical, easy Google app that just works and there’s no good reason not to give it a try. Sprightly isn’t a new app, but it has slid under my radar until a recent update. This is one of the Microsoft Garage apps, an enterprise dedicated to experimental projects that otherwise wouldn’t see the light of day. Sprightly is a free business tool aimed at simplifying the process of creating simple design projects such as E-Cards, fliers, posters, catalogs and more. 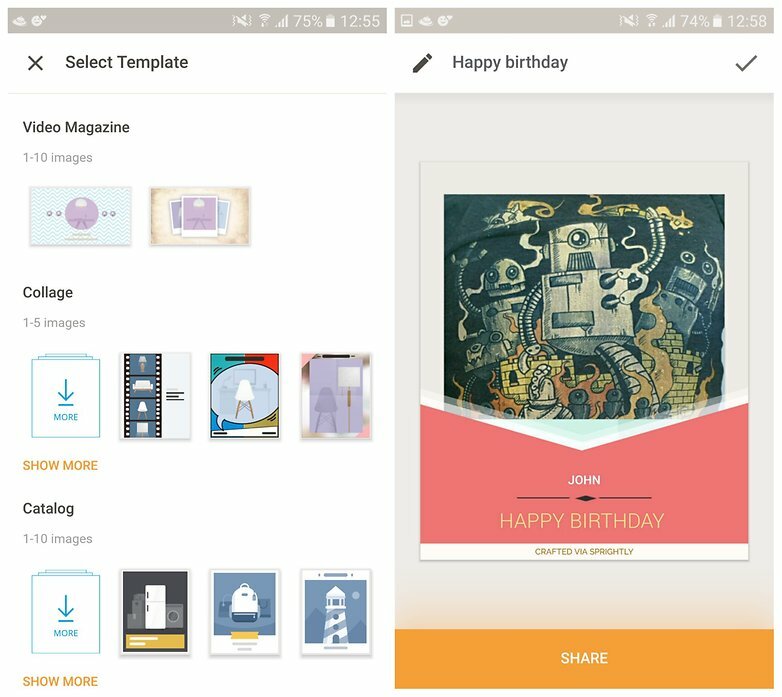 Recently updated with some new collage templates and filters, this is an excellent app that requires no experience with other design tools: just select the type of project you want to work on and Sprightly will guide you through the steps to create a professional end result. 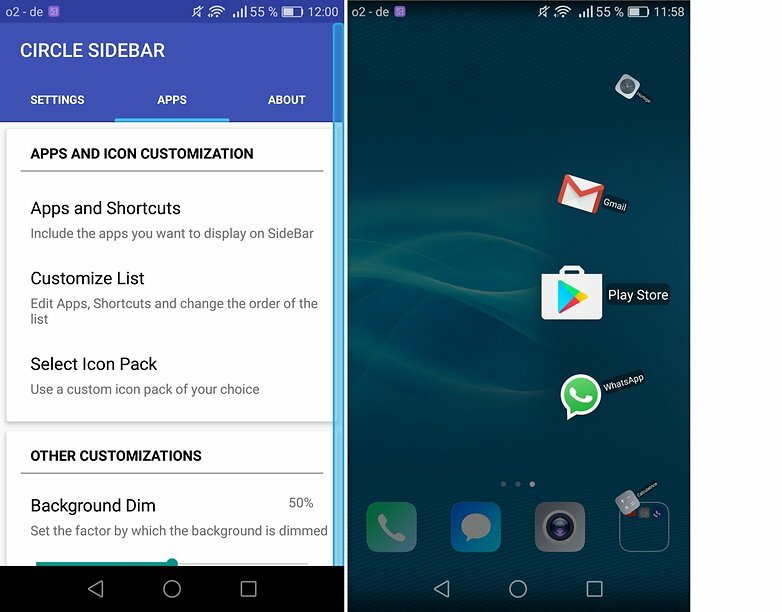 Circle SideBar is a shortcuts toolbar which you swipe in from the side of your phone. This shortcuts bar allows you to assign a selection of apps for quick access and you can customize the appearance of it (the space it takes up on the screen, the colors etc) to make it fit your needs and preferences. The free version is feature packed but you can also download the paid version to gain access to a few extras. If you want an intuitive shortcuts app, this is it. Prisma is one of the most impressive photo-editing apps we’ve ever come across. It’s not concerned with offering a comprehensive set of editing features – this is not a tool for “serious” photo fixing – instead, it focuses simply on filters. And what beautiful filters they are. Rather than applying different color palettes, Prisma alters the entire quality of the image, transforming your photos into many instantly recognizable styles like Pop Art or Cubism. It clearly makes use of a very smart algorithm, but because Prisma does its processing in the cloud, applying different filters does take a few seconds. If you want to check out several designs, you have to be a little patient while the image uploads and the effect is applied. It’s also quite buggy for the moment but this will no doubt be fixed soon. Small prices to pay for this incredible free app. 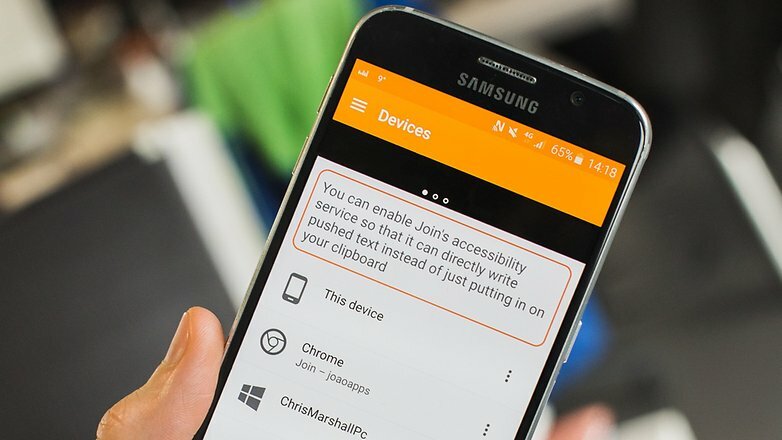 It is no longer necessary to buy a BlackBerry phone to enjoy BlackBerry Hub. This app provides a single interface to view all your messaging and social network accounts, as well as offering calendar information and a password manager. It’s an elegant solution backed by an intelligent user interface: you can get caught up with all your goings-on in a flash. It’s not compatible with all messaging apps – Telegram and Facebook Messenger are notable omissions – and, somewhat disappointingly, it can only be installed on Android devices running Marshmallow for now. What’s more, the free trial version is only available for 30 days and after that you’ll be forced to choose between the free, restricted, ad-supported version or a monthly subscription. Still, if you can make use of it, it’s super useful. Read more about it in our BlackBerry DTEK50 review. Google continues to help us discover the landscapes of the world with Verne: The Himalayas. This is the latest app from the experimental Google Creative Labs team and it invites you to explore the world’s highest mountain range. You take control of Yeti named Verne to traverse the Himalayas and discover historical facts about the location. It makes use of Google Maps’ 3D imagery to map the area and it’s both an enjoyable and educational experience. Just be warned that the controls are a little tricky at first. Spaces is a new social networking/messaging app from Google. You may not have heard of it, or may have tried to ignore it because it’s a social app made by Google, but I think it’s worth checking out. Rather than creating a large network with hundreds of friends and followers, Spaces is concerned with keeping it small scale. It’s a social platform where you can post links, pictures, YouTube videos and more to conversations with your friends. It works the same as many other messaging apps except it houses a fresh, Material Design look and a slightly different format: Spaces is designed specifically for group conversations. Download it from the link here, and for more interesting things from Google this month, check out Science Journal. 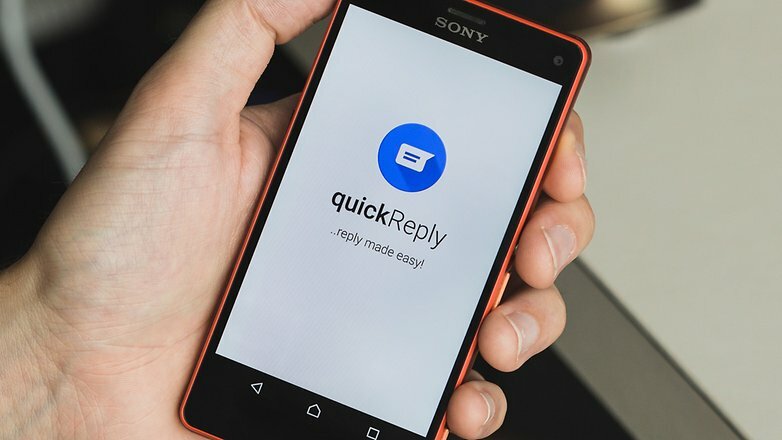 quickReply allows you to respond to messages without entering an app. This feature is becoming more prevalent – WhatsApp provides it and Android N will even allow you to reply straight from your lock screen – but if you can’t wait for the functionality to come to other apps, install quickReply in the meantime. It works with many popular messaging apps (though SMS functionality is yet to be properly integrated), so if you use Skype, Telegram, Kik etc, quickReply will allow you to respond to messages without stopping what you’re currently doing. Messages can be responded to via the notification shade but, sadly, replying from the lock screen isn’t supported. When you message with GIFs you really get to explore communication. Using GIFs forces you to pay attention to the subtleties of animation, to the power of short-form storytelling. It enhances the simple art of messaging. Also, some people just like to see cats doing backflips. Until now, Giphy was only available as an extension of Messenger, but in May it was released as a standalone app, providing more GIF goodness for everyone. The Giphy app – which works similar to the web version – allows you to search and discover GIFs to suit your every need and share them via Twitter, Facebook, Messenger, email: whatever platform you wish. Download it for free here. What’s your favorite maps app? Google Maps? Here Maps? Waze, perhaps? Well, I’m about to introduce you to your new favorite: the map of Westeros. 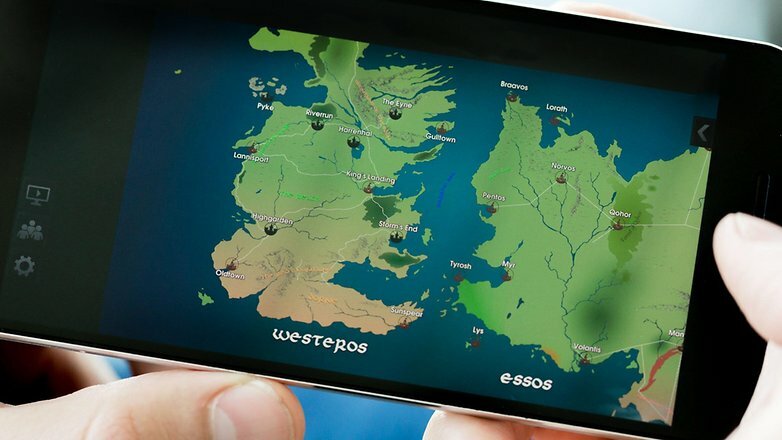 Thanks to this app we can better understand the geography of the seven kingdoms. Want to know where the Iron Islands really are in relation to Banefort? Now you can find out. The only downside is that it doesn’t include local traffic updates. Expect some hold ups in the northern regions soon, though. 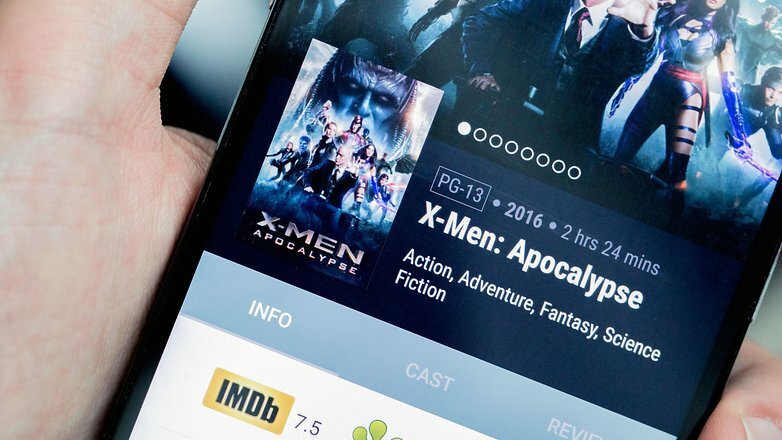 Cinematics is a movie database app which combines current cinema listings, cast and crew info as well as review scores from IMDb and Rotten Tomatoes, to deliver a useful resource for cinema buffs. It’s not the most comprehensive app, but it’s very easy and if you’re overwhelmed by the information found on something like IMDb, it could be for you. 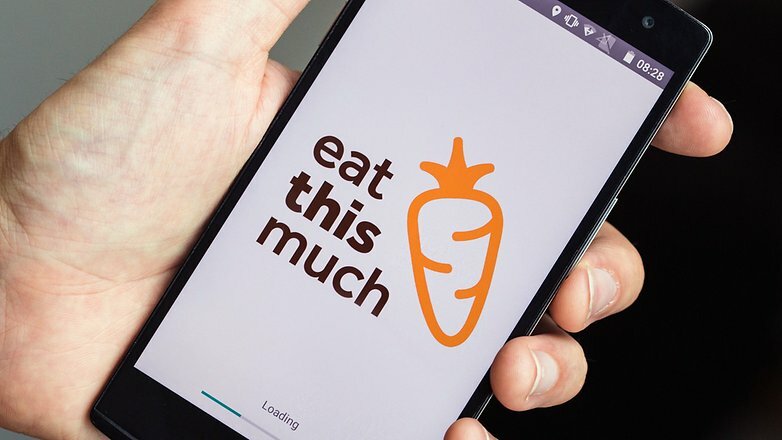 Eat This Much is a new food scheduling app to help you plan your daily meals. Input your diet goals, weekly budget and what kinds of food you like, and Eat This Much will take care of your meal plans. It requires some manual setting up, but once that’s done, you can rely on Eat This Much to provide you with the recipes and tips that help you achieve your aims. Both free and premium versions are currently available. 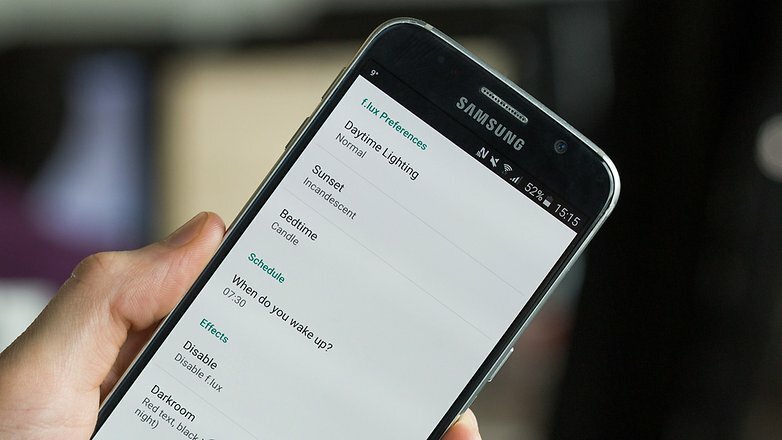 Joining the slowly swelling ranks of screen-dimming apps on Android, f.lux started its life on Linux and Windows years ago. It has been available on jailbroken iPhone for a few years, too, and now it’s finally making its way to Android. Currently in beta and only available on rooted devices, f.lux is a superb choice if you want to avoid straining your eyes at night. Since Pushbullet introduced its paid service and removed features from the free version, many people have been on the lookout for a worthy cross-platform file-sharing alternative. Thankfully, that day has come. Join offers far more features than Pushbullet, and it does it all with a one-time payment, rather than a yearly subscription, a la Pushbullet. The app only recently went live across all platforms – Android, Windows 10, web, Chrome – and there are still small bugs and UI improvements to be made, but this is an app worth getting on board with right now. Let Hermit save you battery life by taking resource-intensive apps like Facebook and replacing them with a wrapper for the mobile website. All these Lite Apps will still appear in your app drawer, and they can send you notifications, they just won’t eat your battery and take up loads of storage space. Any app that has a mobile website – including Facebook, Twitter, WhatsApp, any news service – can be used through Hermit. There’s also a useful library of popular and suggested Lite Apps to get you started. 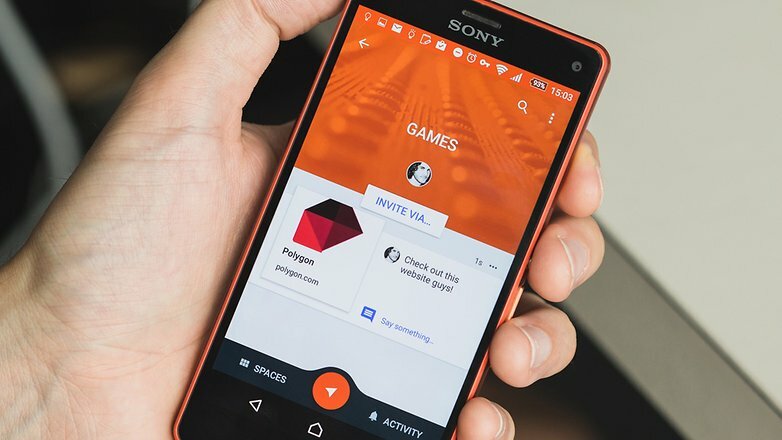 Do you know of any other cool Android apps that came out this month? Let us know in the comments.